Discover Delta4 Presentation by Dr. Alonso Gutierrez Health Science Center belonging to the University of Texas on the implementation of a clinical facility Delta4 Discover. sales brochure. 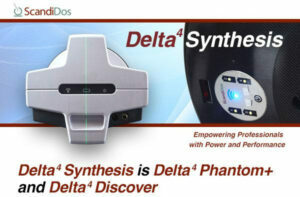 Discover Delta4 Last month August, ScandiDos has obtained CE certification stamp for solution for In-Vivo Dosimetry Discover Delta4. sales brochure.